Christian Grochowski graduated from Catholic University in 2014 with B.A. in History and minors in both Philosophy and Theology. Grochowski found inspiration from his teachers and knew early on he wanted to become an educator. Going to CUA only solidified that dream. Through the likes of Professor West, Professor Weitz, Professor Klimo, Professor Born, Professor Mann, and many others, Grochowski saw the passion and love of knowledge they possessed, and the pure joy they emitted when teaching. As a senior at CUA, Grochowski applied to different volunteer teaching programs throughout the country. He accepted a position through the Operation TEACH program at Archbishop Curley High School, an all-boys Franciscan school in Baltimore, Maryland. 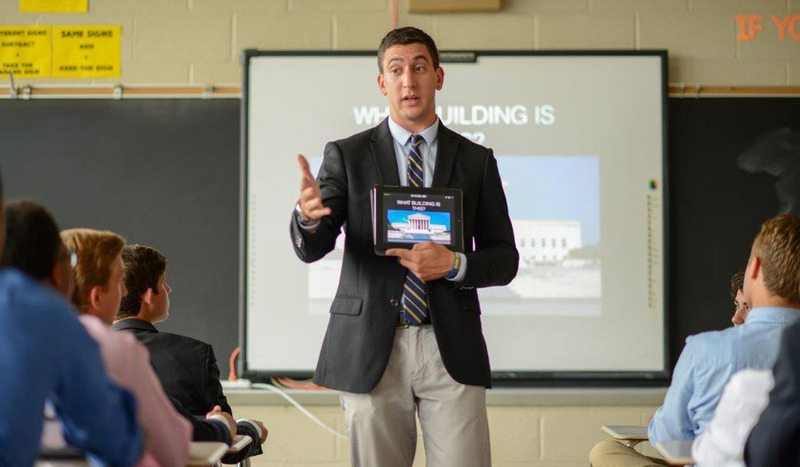 Through the benefits of the program he is able to pursue a Masters in Teaching from Notre Dame of Maryland University, while teaching full-time at Curley. He whole-heartedly thanks CUA and more specifically his fervent professors for displaying the joy and kindness teaching had to offer; for he now believes it is his turn to do the same and hopefully inspire the next generation of educators.